The main challenge of the brief was twofold. 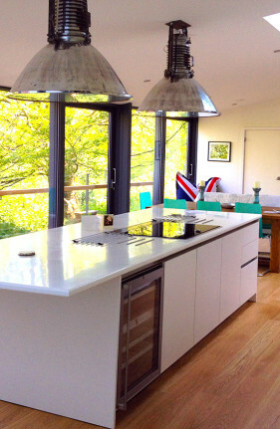 Firstly, to design an extension befitting the character of the existing listed Mill and surrounding rural landscape. 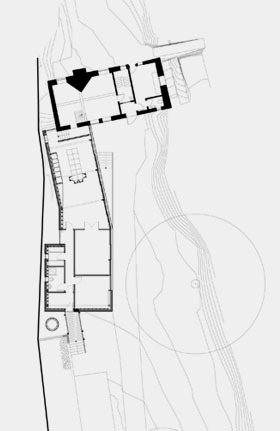 Secondly, to provide the client with suitable, additional accommodation that could be accessed from higher ground, and separate from the Mill, in the event of localised flooding. In addition, the design needed to take advantage of the scenic views and provide an internal connection to the existing building. 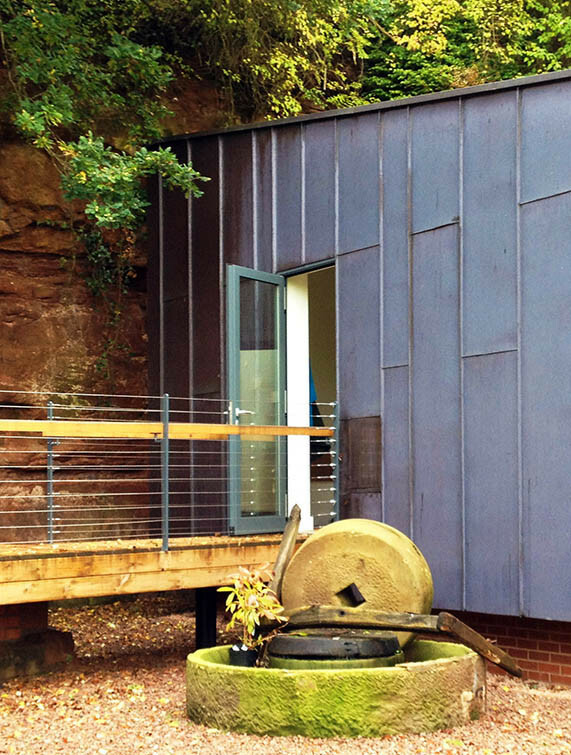 The extension was designed to be single storey, with a mono-pitched roof extending upwards towards the rock face behind, which resulted in a retained view of the existing mill from the entrance driveway. The use of oxidised copper cladding and extensive glazing to the side and front elevations complement the surrounding sandstone outcrop and provide an uninhibited view of the adjacent river and trees, which in turn is reflected in the large sliding glass doors. 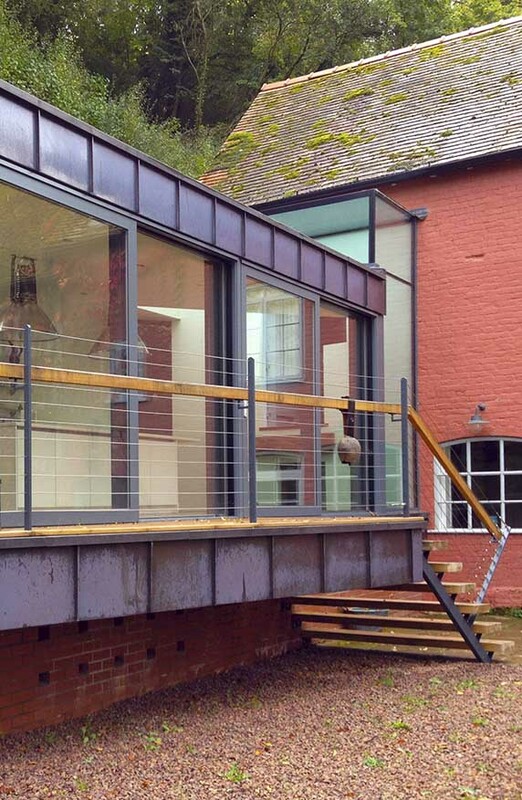 A frameless ‘glass box’ connects the old Mill to the new extension providing a means of physical separation between solid elements, whilst linking the two elements with a delicate approach.